Hamill Refrigeration Ltd offers slushy machines where quality beverage equipment began— Bunn Slushy Machines. Gear up your store or snack stand and equip it with a stellar Bunn Slushy Machine. Whip up refreshing beverages with Bunn Slushy Machines and your customers would love to come back again and again! A Bunn Slushy Machine is the most wonderful and efficient way to serve the best slushies, coffee frappes, smoothies, frozen cocktails, and more. 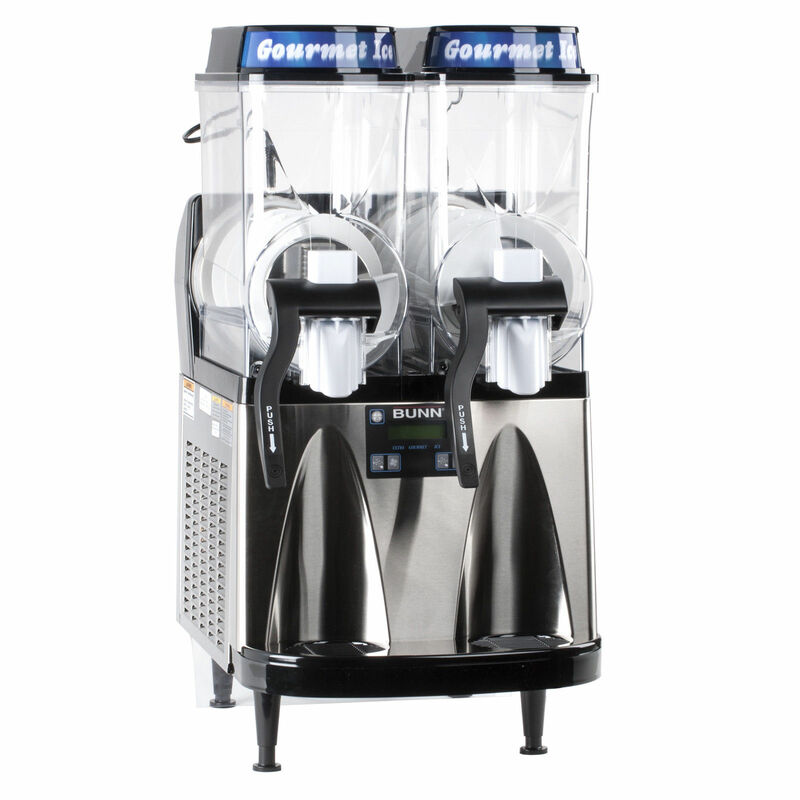 With these machines alone, it displays how enticing and fresh your beverages are. And Bunn has been a trusted partner of choice for many superb slushy machines. Hamill Refrigeration Ltd can provide these Bunn Slushy Machines for you. Hamill Refrigeration Ltd is the only agent for Bunn Slushy Machines in New Zealand, particularly in Auckland. As the leading refrigeration specialist, you can be sure of top-notch commercial refrigeration products and services. With Hamill, the Bunn Slushy Machines deliver the finest quality and performance. You are guaranteed of long-lasting durability. Whether you plan to buy, rent, or have it reconditioned, fixed, or maintained; Hamill gives the utmost commitment of providing you with a service that you can always count on. Lost some spare parts? Don’t worry! You can give us a call and we can have it delivered to you anywhere in Auckland. Broken a handle or drip tray? Our specialist can handle that for you and have it repaired in no time! You will not only have it repaired but you will also be given recommendations and consultations. We have a team of in-house design engineers for turnkey installations and even a 24/7 breakdown service. Yes, you can certainly have a great quality service with Hamill Refrigeration Ltd at rates that are incredibly reasonable. Hamill Refrigeration Ltd is Auckland’s premiere authority for Bunn Slushy Machines. So serve up those cool drinks through the Bunn Slushy Machines and satisfy their thirst. Hamill Refrigeration Ltd handles more than just repairs, goes beyond the usual service, and gives more than just quality — we lead you to the best.